Apr 16, 2011 – Hip checks, rock blocks and a close score, oh my! On Saturday April 16th, Skateworld opened its doors to its beloved San Diego Roller Derby fans for the 3rd game of the 2011 season. 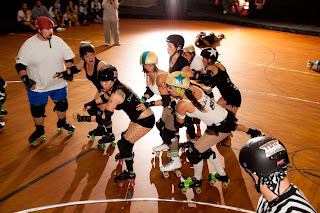 This time around, the SDRD Starlettes had their eyes on Sac City Roller Girls; both teams had played against each other 3 weeks earlier in the 2nd Annual Dustbowl Invitational: How the West Was Won hosted by Derby Revolution of Bakersfield. You must have read about our loss against Sac City at the tournament which landed us in 4th place. So, if you know the Starlettes, you probably know that they were more than ready for sweet revenge. Would you like to know how this game ended? Keep reading! Our Black and White team kicked off the night with a game lead by White Team Pivot, Nicci Two Skates and Black Team Pivot, Coach B. Stang. 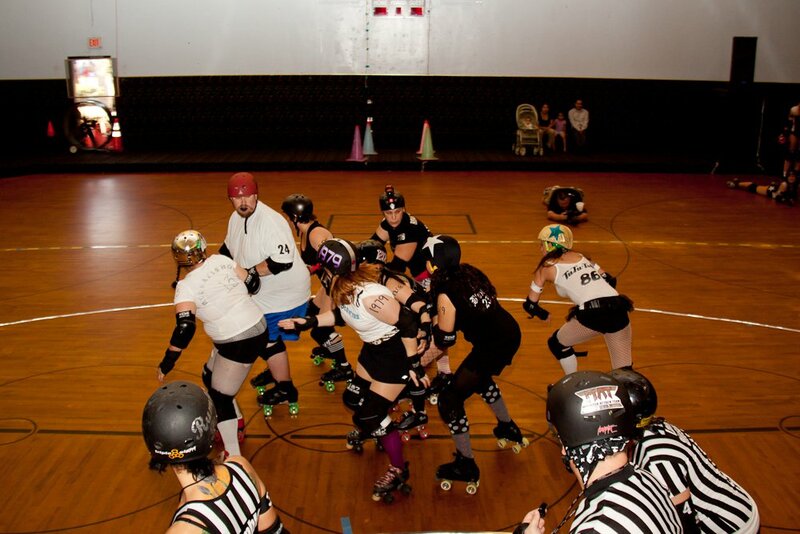 They played a tight 30 minute game that allowed our crowd to see just how much jammers Snow Bunny On Wheelz and Tutu Tuff have improved their skills, nothing stops these girls from getting through the pack! There were also some new faces to see, including Catty Mojo and NeuralizeHER. It seems like these teams just really like to be nice to each other. Black vs White have played each other three times this season. The first game was won by Black, second by White and last Saturday, Black took the win again. The Starlettes and Sac City Roller Girls laced up their skates and were ready to hit the floor by 6:00 pm. 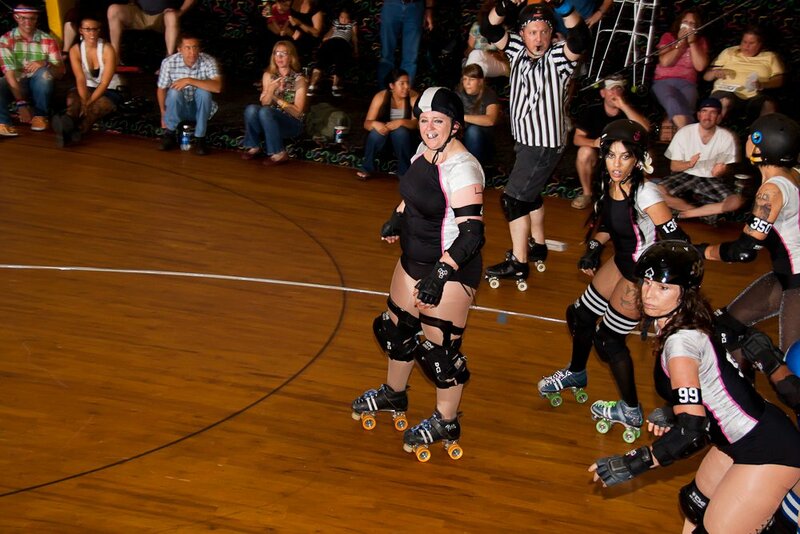 The game started off with jams lead by Icepax for SDRD and Spankenstien from SCRG. Both teams strategized well and played a hard 60 minute game, keeping the score close the entire time. 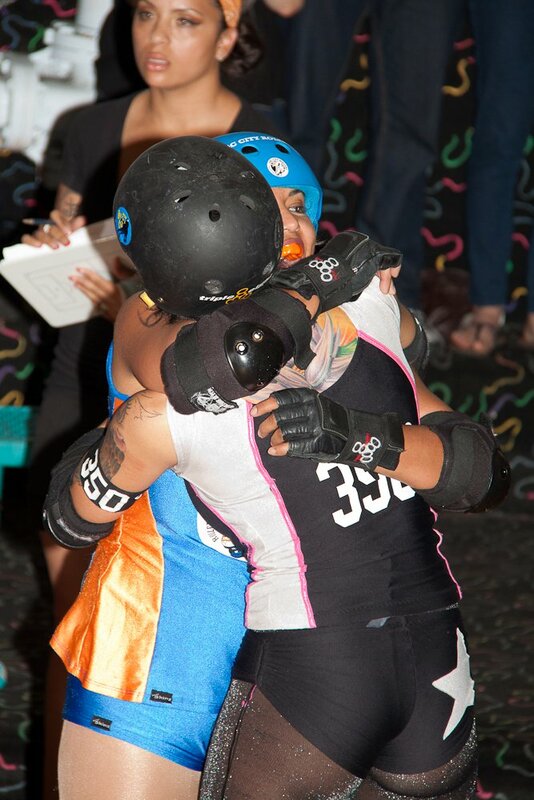 The win could have gone to any team, but SCRG jammer got herself a major penalty towards the end and was sent to the box; this gave MVP jammer of the night, Dee Troit a chance to score some major points. Although the game never ended as a result of it being called off by the head referee, Tomikaze, the score ended at 130-113 Starlettes. Congrats to MVP Blockers, Team Captain Lady Diesel and Robin Ur Pride and MVP jammers, Dee Troit and Wicked Angel. You ladies made us proud! Did you miss all the action last Saturday? Not to worry! You can follow SDRD on the road to Ventura. 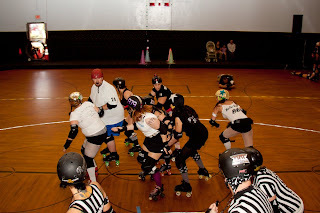 We are preparing and training hard to participate the Battle of the Coast 2011 hosted by the Ventura County Derby Darlins. 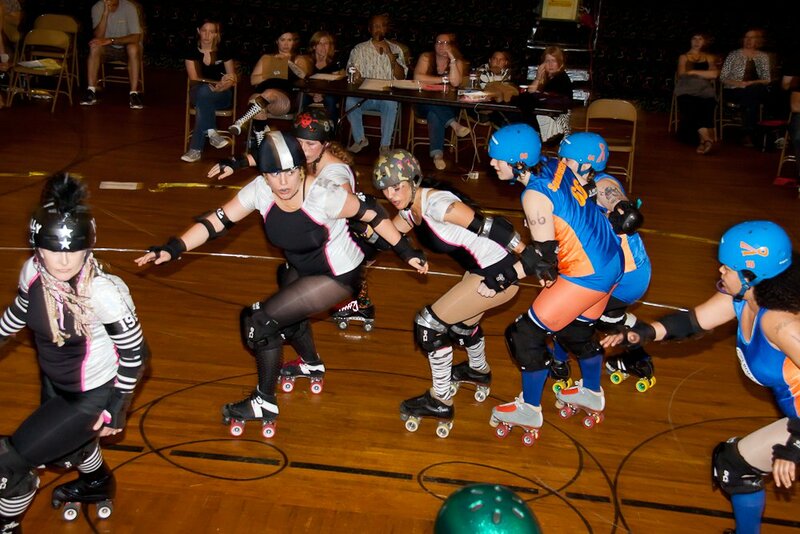 This will be a full weekend of roller derby fun taking place the weekend of May 14, 2011. 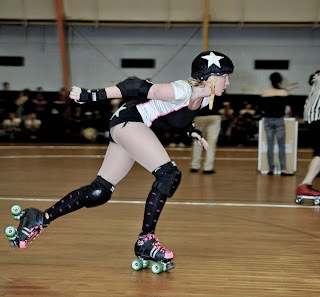 SDRD’s Bandettes will also be hosting their first game of the season at Skateworld on May 21, 2011. Don’t miss it!! Tickets are available right now through your favorite derby girl, online or at the door the day of the bout. Thank you fans for attending our game and supporting our charity of the month, Hogar Infantil La Gloria. We would also like to thank our vendors and a very special thank you to Coach and roller derby legend, John Hall for being our announcer.